Our 2018 Matt Davis Award winner is Zach Schwertz! Zach was a basketball and baseball player for the Rebels. He served as captain of the baseball team and is president of the senior class. Freeman baseball coach Ray Moore described Zach as “intelligent, thoughtful, articulate and “will be successful down the road, no doubt in my mind.” He will attend the University of Virginia next year. 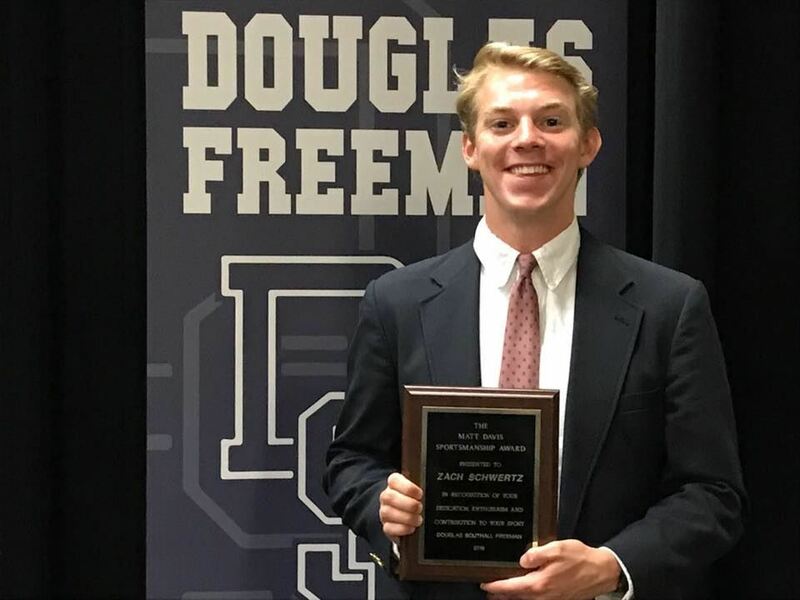 At the Senior Awards Ceremony, Zach was also recognized with one of 10 Faculty Medallions presented to the senior class for their overall contribution to the Freeman community. Thank you Freeman for selecting another fine young man to receive the 25th Matt Davis Award and congrats again to Zach!